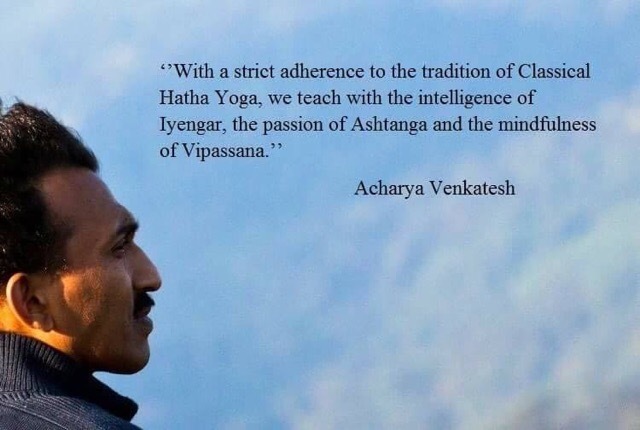 Yogacharya Venkatesha likes to teach in a traditional way, maintaining strict discipline in his yoga school. The students are required to wear white t-shirts and maintain silence before and after the class. 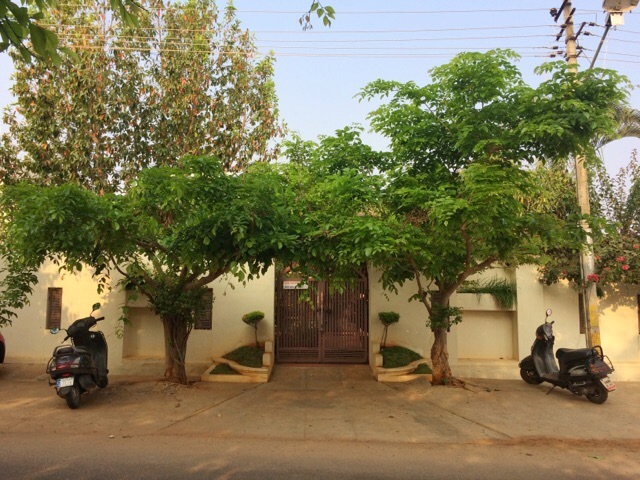 This does create a very peaceful atmosphere at their yoga shala. Following the classical hatha yoga style the class moves very slowly, starting with simple movements and holding each yoga posture for a while, but it is still challenging and demanding. 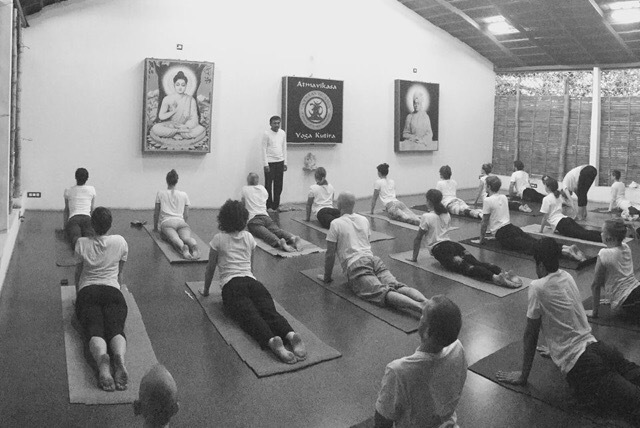 By the end of the class you will certainly feel very calm and relaxed. 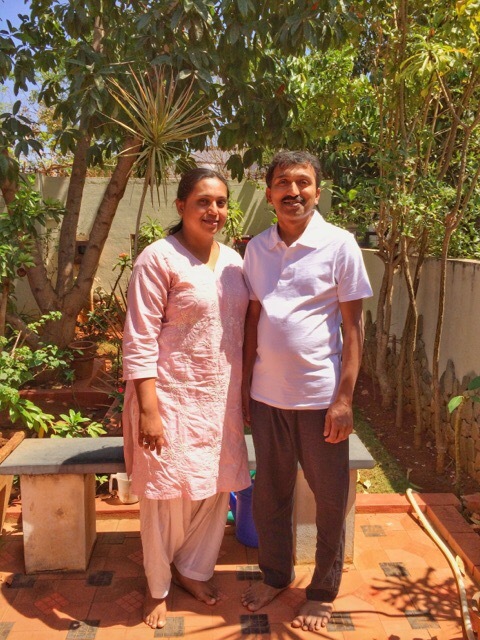 "I met Acharya Venkatesha in 2013. Basically my yoga asana practice started with his style. I found it very complete but at the same time very hard and deep. I've never practiced any other style because what he gave me is still a huge ocean to explore, and this ocean is within myself. He had the power to enter, sometimes as a storm, in a deep space into myself. He just opened the door, then I had to deal with it. He knows every asana perfectly and teaches you how to approach them in the right way to reach that perfection. After some time you can understand, by his teaching, that yoga does not happen only in the body, but happens in your mind. This is what I really experienced attending Atmavikasa school. They plant a real seed in your heart which you will never forget. The aim of the school is to help us discover our inner power, build a strong mind, face our limits and inspire us to be good yoga practitioners, while we enjoy the process. I highly recommend to spent time with Atmavikasa if you really want to go deep into the practice, discover your limits and overcome them. I think Acharya can lead you to a very high level." This is one of the interviews that I have enjoyed the most so far. As soon as Venkatesha entered the yoga hall and sat in front of me for the interview I felt very comfortable in his presence, as if I had met an old friend. I expected to meet a serious and strict yoga teacher but instead I met somebody who is joyful, friendly and gentle. He has such a beautiful energy and his eyes shine with the innocence of a child. He is very humble yet he has so much knowledge, and all gained through his own practice, through his own experience. I felt as if I was in the presence of a real master. He is actually a self taught yoga teacher, certainly not just an asana teacher, but a true yoga teacher. As I listened to his incredible journey of self discovery and transformation I couldn't stop thinking that I wish I could stay in Mysore longer to be able to practice yoga with him. His major realization and transformation in this path came from a great obstacle that he had to face, a health issue that cause him a lot of body pain and which affected his yoga practice. This was specially interesting to me since I've been struggling myself with body pain for almost two years and many times I've considered to stop teaching and practicing yoga because of this. 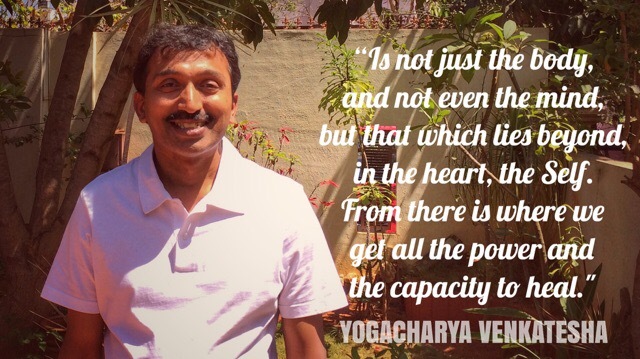 Listening to Venkatesha's journey filled me with inspiration, and it reminded me of the words of my ashtanga yoga teacher, Vijay Kumar: "Transformation doesn't happen when we are comfortable, it happens only when we experience discomfort. You have to go through the pain. Don't skip practice, do what you can." Venkatesha is not alone in this path. His wife Hema is also a great yoga teacher. Both of them teach at their Atmavikasa Yoga Center in Mysore, and they both have a profound knowledge and experience of the science of yoga. It was a real honor to have had the opportunity to sit in front of these two great yogis and learn something from them. Just as in the interview with Masterji, Venkatesha and Hema also talked about destiny. They actually never used that word but they expressed it in different ways during our meeting. When I mentioned, with a bit of disappointment, that I didn't know when I was going to be able to return to Mysore, Venkatesha replied, "Don't worry, no need to rush. If you are meant to learn from us you will return, and you will return at the right time, that's for sure." The next day during the afternoon, just when I was about to start working on the interview I was reminded of destiny again. When I was ready to transcribe the recordings I realized that my voice recorder didn't record any sound at all! Can you believe that!? I was so excited to share this interview with you but then this happened. This was actually the longest interview that I've had so far. Venkatesha and Hema were so generous with their time and with their knowledge. Their answers to my questions were so clear and vast. We could have talked forever; they giving lengthy and in depth answers and me continue asking more and more questions. I usually try to take maximum 40 minutes on an interview, but there was so much wisdom flowing from them that I didn't want to stop. 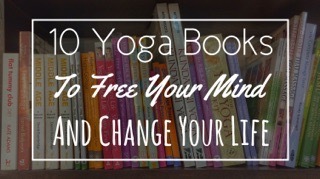 I ended up recording more than 70 minutes of pure yogic wisdom. I was even thinking to split the interview in three or at least two blog post. Well, everything happens for a reason. All I can do now is talk about my experience meeting them and talk about the main points that I remember from the interview. I hope at the very least that I'll be able to transmit the essence of their teaching philosophy and who they really are. Venkatesha starting practicing yoga asanas, the physical yoga postures which are so popular in the west, when he was about 14 years of age. After realizing that yoga asanas were very natural for him to do (he could easy perform advanced postures without any previous preparation) he decided to accept the invitation of some of his childhood friends to join a team for yoga competitions. Yoga asana competitions are very common in India. It is a good way to propagate yoga to the masses, although at a physical level, but it also helps to give recognition to the future yoga teachers and helps them get established. When I asked him if he had had any teacher during this time he replied, "We didn't have any teacher guiding a class in front of us. We were about thirty kids practicing together. We would just share what we knew with each other." Soon he became team leader, and just a month after starting practicing asanas he was already teaching. That's how he learned so much, explained Venkatesha. "The more I taught the more I learned," he said. For ten consecutive years his team won the state yoga championships. Finally he decided to stop competing. He had achieved everything that he wanted to achieve in that area. His focus at that time was mainly on the yoga asanas. He used to practice for about eight hours a day, but only the yoga postures. It was all about getting there, achieving the pose, mastering the pose. But in 2001, while he was already teaching western students for several years, he started to have some health issues. He started to experience intense neck pain and body pain that affected his practice and his teaching. All his joints would get swollen and cause him pain. The doctors diagnosed him with cervical spondylosis and osteoarthritis, and told him that he should stop practicing. This is when the real yoga began for him, this is when the journey of self exploration and personal transformation started. Venkatesha didn't listen to the doctors advice but instead, following his instinct, he decided to continue with his practice, but on a very different level. On his healing journey he had to return to the basics, leaving all advanced asanas and instead focusing on performing simple movements, with full awareness, understanding not only what was going on with the body but also with the mind. This was the main change to his practice. His diet change, the intensity of his practice changed, but the most significant change was the application of his mind, paying attention to what was going on inside, observing his mind. It's not like he didn't have any awareness before. 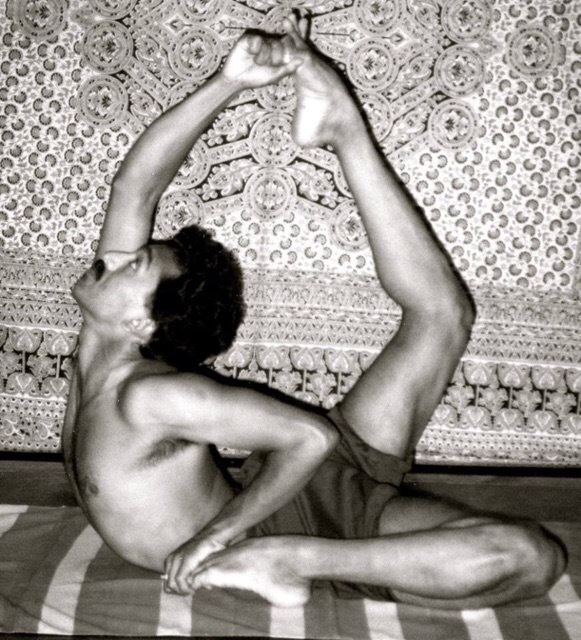 According to Venkatesha, even when he was practicing yoga asanas for the competitions he would remain completely focused on his practice and think of nothing else. Even throughout all his years of practice until today, while he is practicing yoga he is completely focused and never distracted. But now he was using that concentration power to go deeper within and to pay more attention to everything that what was going on internally and externally. Hema said, "He is a very different person today. The person that he was back then and the person that he is today are two very different persons. Externally he still has the same beautiful practice but internally there is so much more going on today." Two years later Venkatesha not only fully recovered but he started to feel even better than before. He said that his joints have completely regenerated and he assure me, with absolute conviction, that anybody can do the same in three months of practice, no doubt. Nowadays he can do any advanced yoga posture with no difficulties, but it is not anymore about getting into a pose, but how you get there. "In the beginning we didn't use to pay attention to that. It was all about doing the asana," explained Venkatesha. "Now, it's all about how we get into the pose, what happens in that journey, and always returning to samasthitihi (centering). From there again moving into the next asana," added Hema. Later on, on a message, Hema explained to me: "In 2003 he demonstrated the same advanced asanas just to prove to himself that the pain was not just in the body. 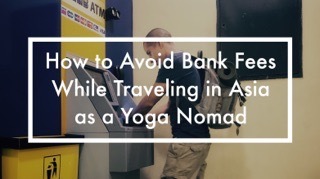 He realized that advanced asanas cannot be performed with flexibility alone. Consciousness and deep presence are way more important." I asked Venkatesha how did his body pain affected his teaching. He explained that he had to give less classes and teach a fewer students. He said, "I would come to class with my knew completely swollen and then teach. But nobody would know anything. By the end of the class I could hardly walk. I would be limping." He had a determination to teach. So many people will come to him for his classes and he felt an obligation to continue teaching regardless of his condition. The doctors where never able to give a clear and certain answer of what exactly caused his body pains, but after all that self exploration Venkatesha concluded that he was simply putting too much stress on his body at that time. He was practicing with too much intensity. He would hold advanced yoga poses for very long time, poses that other advanced practitioners would hold just for a few seconds. He used to hold viparita shalabhasana, with the feet on the floor in front of him, for about 8 to 10 minutes. Venkatesha believe that's the reason why he started with this severe neck pain. Later on when he was teaching he would teach almost non stop, without a break. Hema said, "there was no time to even enjoy the sunshine, or appreciate a beautiful flower." They also realized that their diet was not appropriate. Hema explained, "Yes, if I go and eat masala dosa everyday I'm still vegetarian but that's not really nourishing for the body." Although Venkatesha still remains vegan and Hema vegetarian their diet has changed a lot, mainly through their own experimentations. Hema said, "We didn't have any internet at that time, we had to figure out everything by ourselves." Venkatesha continued, "I used to do so many experiments to see what was the effect on the body and on the mind. For instance, sometimes I would eat only curd rice with green chillies, and then observe. So many experiments like this." "Water is extremely important," Venkatesh added. "Our students are now required to drink one liter of water before they leave the yoga shala, otherwise they are not allowed to leave. We recommend four liters of water per day." During the whole interview Venkatesha spoke from the vast knowledge that he has gained through personal experience, not by reading books or by following other people's advice. When we talked about pranayama he talked about kevala kumbhaka with the conviction and confidence of somebody who has reached that state. Kevala kumbhaka is a high state of pranayama where the need for inhalation and exhalation ceases naturally, without any effort. There is no more breathing, the yogi is simply breathing prana. Their approach towards pranayama seems to be more conservative compared to every other teacher around Mysore. "First they need to learn how to breath and how to sit properly," said Hema. "How can they do pranayama if they can't even sit still?" she added. I also asked about breath retention. Some traditions don't advocate breath retention as it is considered too powerful and not appropriate for householders. For other traditions breath retention is a must in the practice of pranayama. Venkatesha and Hema take a conservative approach, based on their personal experience. They don't take breath retention very lightly. They consider that this is indeed a serious and strong practice and people need to be properly prepared for it. Their students are required to first learn the basics and then go back home to practice for at least one year. Once they return, according to their own development, further instructions are given, and perhaps a year later breath retention is instructed. Venakatesha said, "It is actually difficult for me to practice pranayama, cause when I practice pranayama I naturally enter a state of meditation. 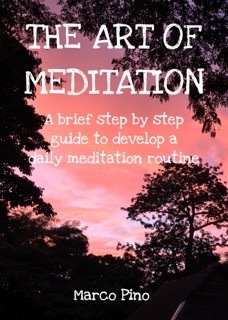 So now I just meditate instead." One of the things that I like the most is that their philosophy and the knowledge that they have gained through their own personal experience and practice is the same knowledge that my meditation teachers has imparted me, specially those from the Himalayan Yoga Tradition (HYT) at the Swami Rama Sadhaka Grama ashram in Rishikesh. Their approach towards the practice of asanas, the importance of the mind, the breath and the emphasis on experiencing the Self, even their approach to pranayama, all connected really well with the teachings of the HYT. They strive for the highest ideals of yoga, and look at the Self-realized gurus as their masters. Hema, pointing to the portraits of Buddha and Swami Vivekananda in their yoga hall said, "These are our masters." They have lot of appreciation and respect for great yoga teachers like BKS Iyengar, Pattabhi Jois and Krishnamacharya, from whom they have learned a lot (BKS Iyengar is even Venkatesha's idol), but for them they don't represent the highest ideal. Hema said, "We can't stay on this level, we have to reach there," pointing with her finger upward, towards the heavens. "Who considers Buddha a real yogi? They are the real masters!" "Is not just the body, and not even the mind, but that which lies beyond, in the heart, the Self. From there is where we get all the power and the capacity to heal." Said Venkatesha. Overall the emphasis is giving to the application of the mind while performing asanas and while practicing pranayama. Concentration must be there. "You have to pay attention to everything, even at how you place or drop your yoga mat in the hall. This is important," added Hema. Her words reminds me so much of my teachers at the HYT. 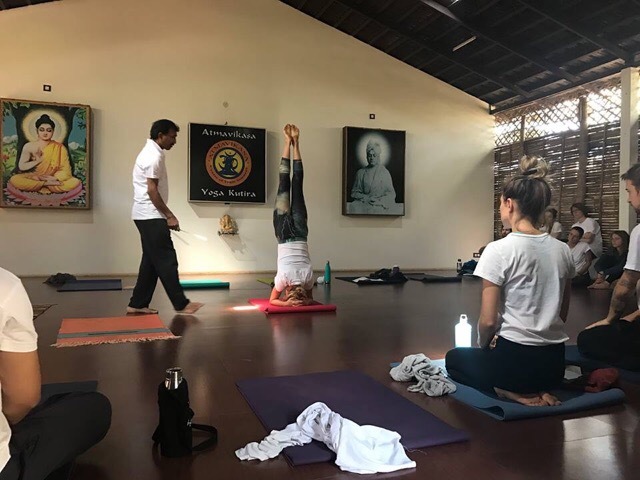 Venkatesha and Hema want to focus on the deeper aspects of yoga and they want to attract dedicated serious practitioners who are not merely interested in asanas. "That's why we stay away from Gokulam," Hema said. Gokulam is a district in Mysore where most of the foreign students live to practice yoga with different teachers. It is a very sociable and active neighborhood. Their yoga center is actually very isolated. 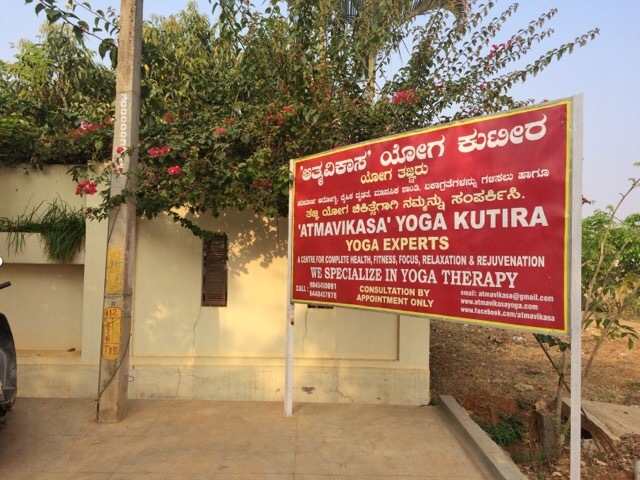 It's in a very quite neighborhood away from all the other popular yoga shalas in Mysore. It's about 15 min drive from Lakshmipuram and 20 min drive from Gokulam. If you are looking to really focus on your sadhana and avoid too much social contact then this is probably a good place to be. Although I was not able to share every single word that they expressed during the interview, because of the issues with my voice recorder, I hope that you have still been able to enjoy reading it and perhaps even learned something from it. Don't hesitate to share this yoga interview with your friends, and if you are a student of Venkatesha it would be very helpful for others if you could share your experience practicing yoga with him in the comments section below. Thank you! Yes I did enjoy it -- very insightful, and a refreshing point of view compared to more 'mainstream' yoga styles which have become only about asanas. Thanks! I have gone through the blog. interesting one.Indian yoga asana,mudras and pranayam are extremely good for health.In fact I had started yoga asana in 1968,at 7&1/2yrs age and has been continuing since then.But once I became an Engineer & started working in a chemical plant the timely & long duration duty has made distracted from my one of the hobby.I am now 57 yrs and against started practicing. I again started reading articles , what I used to do in my childhood.during my 34yrs of professional life though occasionally is practice yoga when become ill but has been studying various books to keep my updated.Practicing Indian yogic posture & continue in the pose gives a exhilarating feeling.